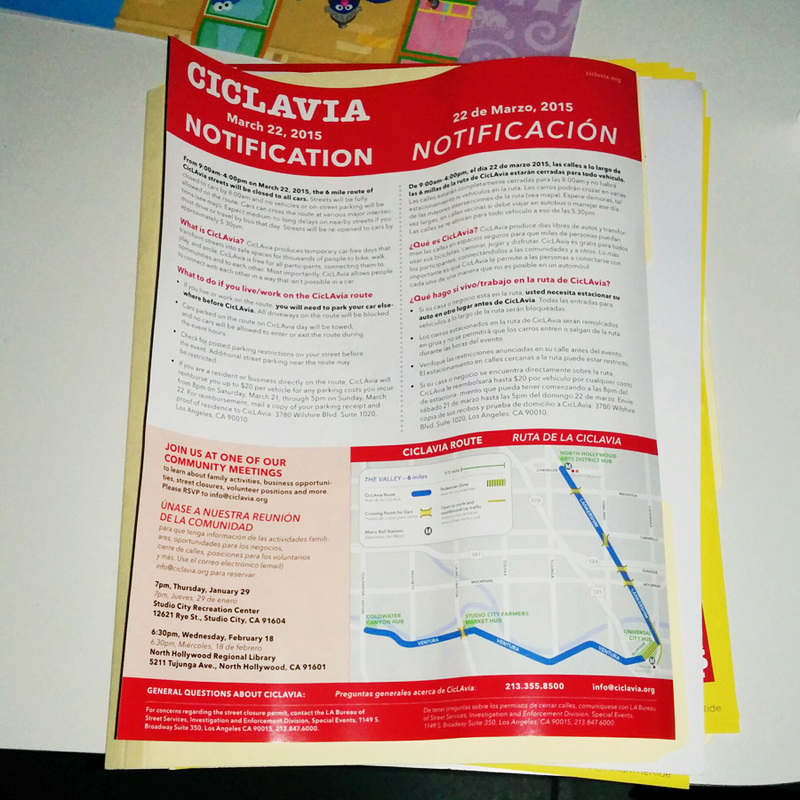 The Studio City Neighborhood Council sent out an email notifying all of their stakeholders that notices for the March 22nd CicLAvia will be distributed along the route. At this point, it should not be a surprise to those along the route that this event will be coming next month. But it’s good to cover all your bases. Remember, the route will run down Lankershim from the NoHo Station to Ventura Blvd., where it will continue west to Coldwater Canyon. 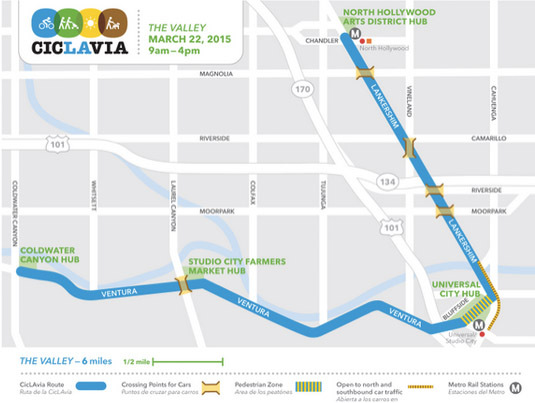 There will be plenty of restaurants and businesses along the route and many people looking to spend some dollars. Hopefully, most will embrace this event to reach out to the community.